22.4 miles, Yup You Read It Right. My dogs are not only barking, but howling! 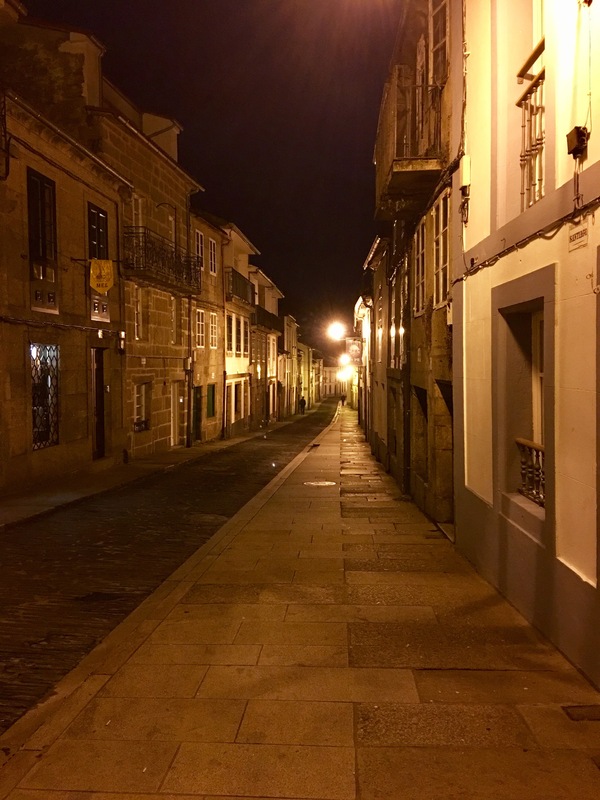 We left around 7, with the first 1/2 hour walking through the quiet empty streets of Santiago. We quickly found a place open serving cafe. 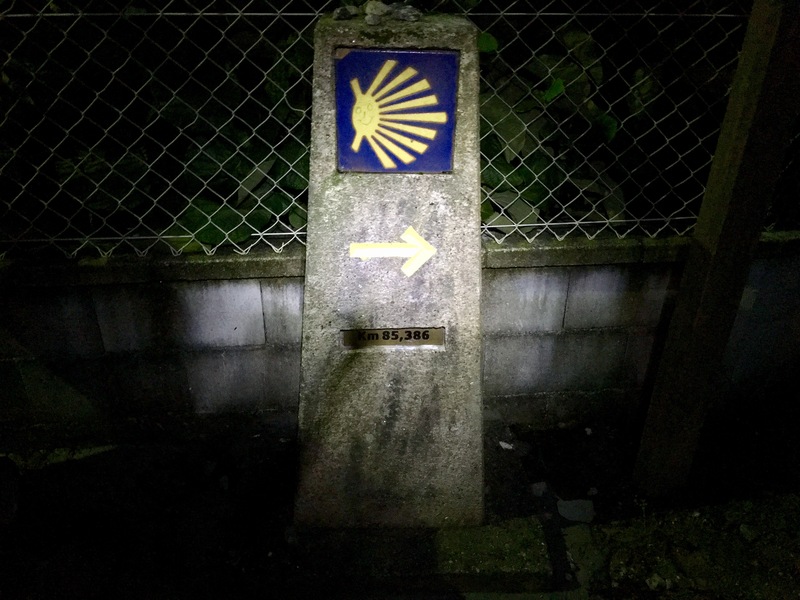 They aren’t typically open but on the Camino route you can find them open this early for pilgrims. 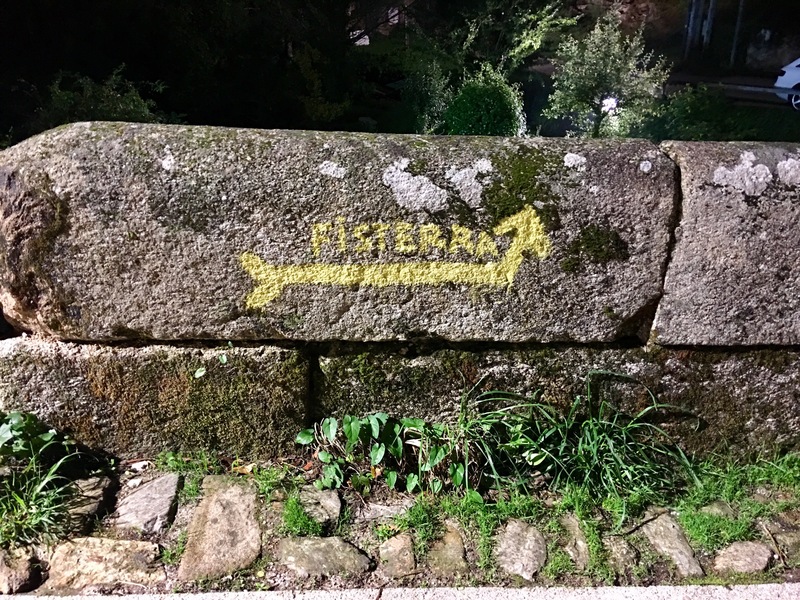 We walked out of town and looked for the familiar yellow arrows and markers. The difference is, is the the markers begin to count down the miles that you have to do to make it to the ocean. It was a very long day, a lot of ups and downs but the day was a beautiful day for hiking. We came across this wonderful water fountain for pilgrims to soak their feet. It was cold, but refreshing and helped us with the last 5 k.
Our Albuergue was in a tiny town-an alburgue, cafe and……..yup that was it. Going to sleep at 9 was not a problem. Oh yea, short day tomorrow, only 15 miles…on Ricardo Francais time now. I must have passed that fountain but I don’t remember it. Did Rick take a different route?